Just south of Thailand's border and just 98 NM from Phuket is a Duty Free port for Superyachts. 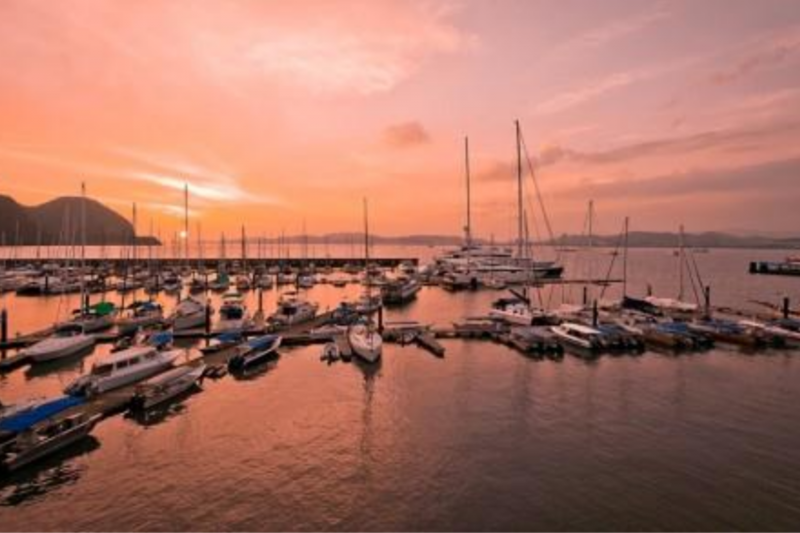 Word is spreading amongst the global Superyacht community that Langkawi, Malaysia with its unrivaled facilities and natural beauty. The island of Langkawi offers a wealth of cruising opportunities from the surrounding ninety-nine islands, visiting yachts will find many white sand beaches, river systems, pristine rain forests, abundant wildlife and caves and hilltops to explore. The centrepiece of Malaysia‟s tourist industry and the premier yachting destination for the region Langkawi offers plenty of 5-Star hotels, spas, cultural attractions, internationally renowned golf courses and a town centre with all the modern facilities of a small city to enjoy as yachts are attended to. The duty free port includes a yard with a 500 Ton Travel lift and duty free spare parts. The island is a great hub destination with fuel less expensive than anywhere in Asia and, as well, wine and liquor are all duty free. It is also the place „to get things done”, reports Captain Charlie Dwyer, who heads up the agency Asia Pacific Superyachts Langkawi. The abundant cruising grounds, modern marinas (3 main marinas), cruise terminal and refit dock for berthing vessels up to 200M L.O.A., fresh duty free supplies and repair facilities for any yacht (whether sail or motor, mono or multi hull), all make Langkawi a wonderful home during the cold winters in Europe.